When thinking of making a Will, the idea of a lawyer taking down last instructions at the bedside still springs to mind for many people. And a 19th century lawyer would find things pretty much as they were if they time travelled to 2017, but a major change to how people can say what should happen after their death is likely to happen soon. If proposals from the Law Commission get the go ahead, the law is likely to catch up with technology, and in the future we could potentially see emails and other simple expressions of intention being acceptable. But in the meantime, the only way to be sure of what happens to your estate after you die is to make a Will following the formalities that have been in place for hundreds of years. That is particularly important for those who may be living with partners, for whom the current law offers no protection, or where there are young children, for whom the choice of guardians may be important. Yet it’s estimated that around 40% of the adult population don’t have a Will. 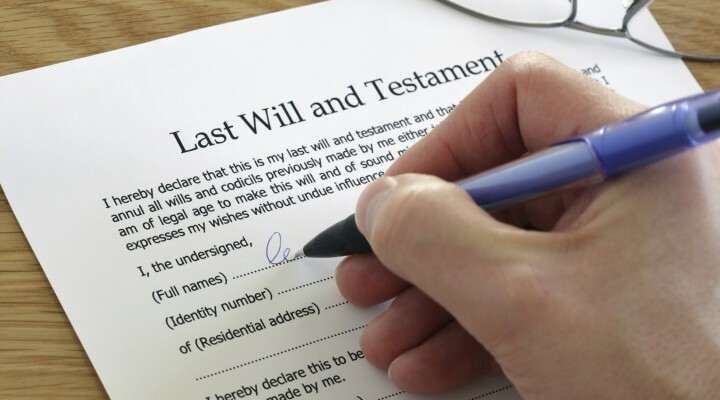 Without a valid Will, the division of assets is determined by the Rules of Intestacy under which, typically, the whole of the estate of someone who dies leaving no surviving spouse or civil partner will go to their children, or if they have none, to parents or other family members. If there is a surviving cohabitee they could in certain circumstances apply for “reasonable financial provision” under the Inheritance (Provision for Family and Dependants) Act 1975, but this is a very slow and potentially expensive option, and in the meantime, they may be blocked from living in the couple’s home if it was not jointly owned. The main proposal from the Law Commission would see the Courts able to recognise Wills that have not followed the existing prescriptive rules, so long as the deceased's testamentary intentions are clear. That will include provisions to recognise electronic Wills, if fraud and undue influence can be ruled out. It is also intended that new rules would take better account of conditions such as dementia, which affect decision-making.